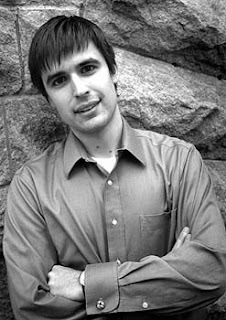 One of my friends from Detroit Synergy, Matt Clayson, is a guest blogger for Metro Mode. His latest post makes the argument that if you're not living in the City of Detroit, you're basically just wasting your time. I can't help feeling that he took his sentiment a tiny bit too far. After having been robbed three times in three years, and getting almost no response from the Detroit Police Department, I can certainly understand those who chose to support the city, but chose to live in the suburbs. Armchair boosters and armchair advocates, is what Matt calls them. No matter what, I'm sure that Matt's words will stimulate some interesting conversations around metro Detroit. And that, afterall, is one of the great things about blogs. They get people talking about vital issues that tend to get forgotten by the mainstream media. Okay - I really shouldn't spend so much time surfing the web. I keep finding so many cool products out there that I want to buy. At least this time, the two things that I found were relatively reasonably priced so I won't have to max out my credit cards buying them. I found these cool stemless wine glasses at SurLaTable.com. I'm usually not a fan of stemless wine glasses so I would probably use them for something other than wine. The cool thing about them though is that they settle the eternal debate as to whether the glass is half-empty or half-full. The glass has a line that delinates the exact middle of the glass. Above the line is the Italian word for optimist. 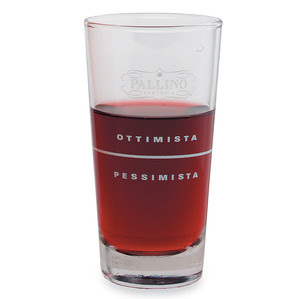 Below the line is the Italian word for pessimist. Those crazy Italians! Always giving me an excuse to keep my glass full. I also got a huge kick out of the Lego ice cube tray that is available at Lego.com. Steve Jobs introduced the new iPhone earlier this week. The thing just looks so darn cool! Either 4 or 8 GB of storage space.The only things that I don't like about it is that a) according to the press release, it won't be available until June (which means, it should be in stores by August) and b) it's only available for Cingular (which means that I'd have to change my networks; probably have to change my phone number as well and pay a cancellation fee since I'm still under contract with Sprint). It's weird how my memory is slowly coming back after the auto accident. I find myself remembering the strangest things. The other day I was walking around in Greektown. This, of course, is where I was returning from the night of that collission. I walked past the Bouzouki Club and remembered that I had one of their "No Cover Charge" passes. More importantly, I remembered that I had it with me on that fateful evening, but that I decided to go home instead of using it. If I had used that pass, I wouldn't have been on the road at the same time as that drunk driver and, in all probablity, wouldn't have been rear-ended like I was. My life today would be almost exactly like it was on December 22. The moral of this story: I should never pass up a chance to see naked women for free.